A strong college-going school culture that celebrates rigor, diversity and inclusion. A faculty and staff that is fiercely driven to engage our students in the forging of powerful, supportive relationships in order to build a foundation where education can occur. A dynamic parent community that is active, vibrant and fully engaged in a partnership that strives to ensure that all the needs of our young learners can be fulfilled. A support circle of caring community members and community based agencies who stand ready to support our many initiatives. For tomorrow evening, many of us will travel distances both long and short to share a meal and fellowship with friends and extended members of our families. During this holiday based on gratitude, I want to express my deep appreciation for all that you do for our students and parents. Thank you for making CHEC a place where children come to school every day and are loved and engaged in opportunities to grow academically and emotionally. Your commitment to this work make us a unique school that is brimming with ambition for our students. A BIG SHOUT OUT from the DCPS College and Career Team; to the CHEC Counselors Ms. Castro, Mr. Yeboah, Mr. Bufford, Ms. Blanco, and Ms. Elmore for CHEC’s FAFSA progress. CHEC’s current FAFSA completion rate is 29%. This is 45% completion towards your school level goal. CHEC is also 13% points ahead of its FAFSA completion rate this same time last school year. 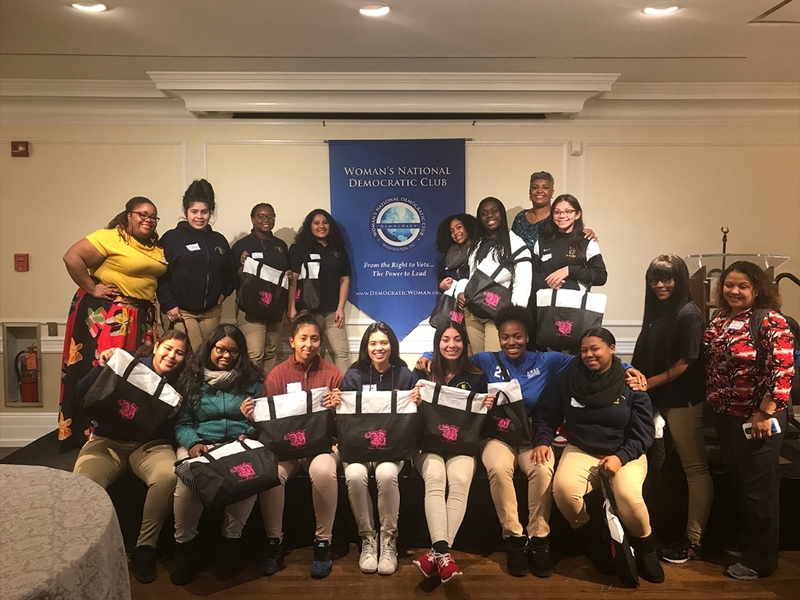 Shout out to all the teachers who welcomed the principals from Philadelphia into their classes – Ms. Bernard, Ms. Ferguson, Mr.Schutt, Mr. Connor, Ms. Peddyreddy, Mr. AbuSabha, Mr.Aguilar, Ms. Alvarado, Mr. Diaz, Mr. Cook, Ms. Patkus, Ms. Abbondanza, Mr. Morden-Snipper, Ms. Patterson, Mr Henggeler, Mr. Broad, Ms. Chiu, Ms. DelCid, Ms. McCulloch, Dr. Barnett, Mr. Shoenthal and Mr. Alvarado! They were extremely impressed with that they saw, and noted student engagement in all classes!!! They noticed how our students were reaching for our mission through their intellectual curiousity and interest in Social Justice!! Shout out to Ms. Falkenberg, Mr. Steward, Ms. Hernandez, and all of our Hospitality students for organizing our Faculty Meeting focused on Book Tasting!!!! Kudos to all staff members, parents, alumni and students who met with the Standing Ovation Family Engagement Award Team, as part of our site visit – Ms. Whitaker, Ms. Gonzalez, Mr. Talarico, Ms. Alvarado, Mr. Jaramillo, Mr. Molina, Ms. Lemus, Ms. Pugh, Mr. Lessek, and Mr. Jones!!!! They represented!!! Shout out to our dynamic ESL team for a great presentation at this week’s ALT meeting! They shared data and ideas, and facilitated a rich discussion on how we can better serve our English Language Learners!! Kudos to Ms. Hanlon and Ms. Carino for organizing a wonderful pep rally for our Middle School Soccer Champions!!! Shout out to all of our Football coaches and Athletic Director, as well as the whole football team and football parents, for an amazing football season!! The Middle School Boys Soccer team won the championship over Deal 6-0. The High School Football team lost a nail-biter in the championship to Roosevelt 13-12! Winter Sports competition starts this week. 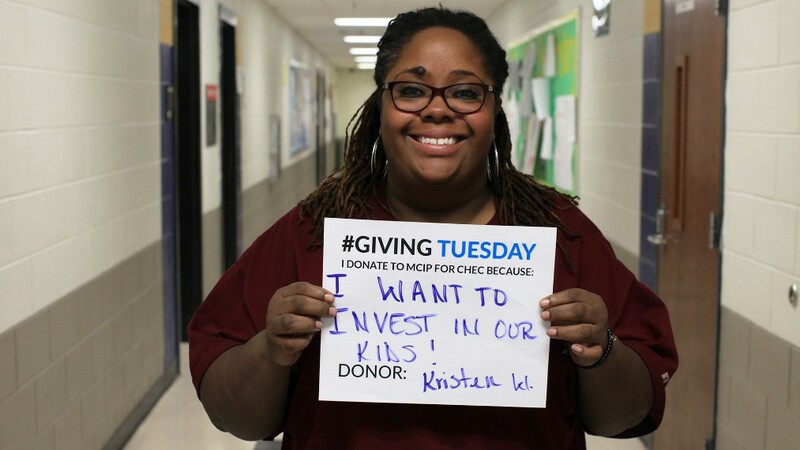 Giving Tuesday is a national movement for reflection and an opportunity to give back to your favorite charities. Please take a moment to reflect on the hundreds of families we serve. 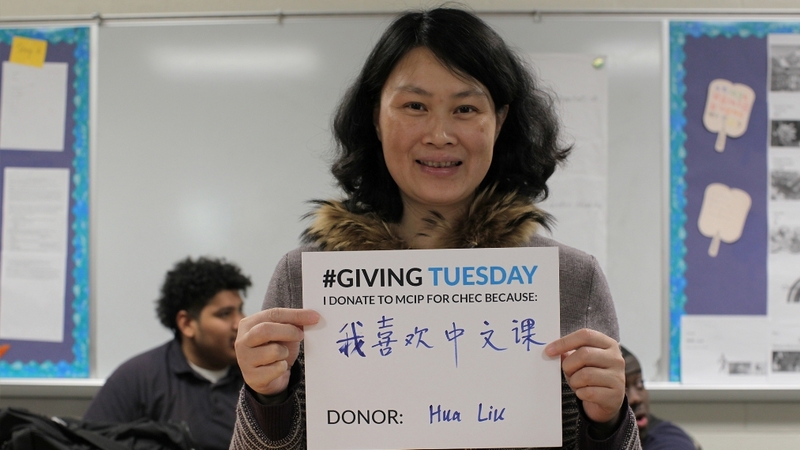 Help support CHEC by making a tax-deductible donation to MCIP today via our website. Thank you to all for your collaboration in our work on refining our standards based student work bulletin boards. 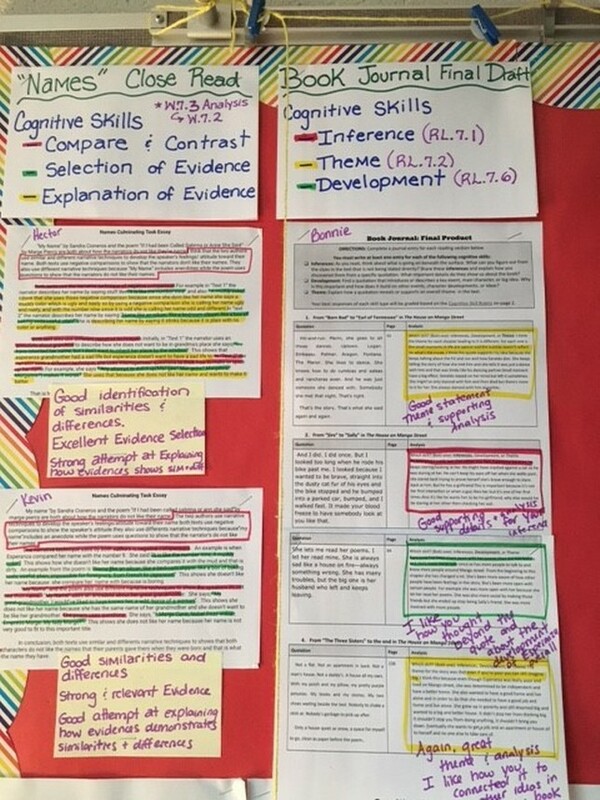 Making student work with feedback the centerpiece of instruction, reinforces students’ understanding of how to produce quality work, and how to demonstrate their mastery of standards. The ultimate goal is for students to take ownership of their work, revise it until it meets standards, and create motivation and celebration by having it posted in our classrooms and hallways. The discussion today generated great suggestions on how to make this process even more powerful, and we will be providing the necessary materials and time to make this an ongoing process of sharing. Visiting each other’s classrooms to make connections across disciplines, and identify standards we can collaborate on, will help students and us make interdisciplinary connections. CHEC has received licenses for another on line resource that can support our interventions for students. Achieve 3000 delivers daily differentiated instruction for nonfiction reading and writing that are precisely tailored to each student’s Lexile® reading level, in English and in Spanish. Many CHEC staff members attended the introductory professional development that was offered this week. CHEC can have as many licenses for students as needed, so if you would like to use this reading program in your class, please contact Ms. Strickland. The next meeting with be on Wednesday, November 8, and the Math Department will present on the progress in Math in relation to our CSP goals. The Leadership Team is a group of teachers, counsellors, and administrators who meet every week to discuss school needs, and plan for improvements. The Leadership Team designs the school’s comprehensive school plan, and helps in its implementation. Please consider joining the Leadership Team this year. It is open to all faculty and staff. We need the involvement and voices of all. Remember, Leadership team meetings are open to all who are interested in schoolwide decision-making and leadership. You can come once, or as many times as you like, but please make your voice heard! To date, we have 243 home visits completed by 56 teachers! Great job!!! Congrats to the 10th grade team keeping the lead!! 10th grade has visited 64 students which is 26% of the class of 2020!!! Kudos to 7th grade for leading on the middle school side!!!!! Please remember that our SLC goal for this year is to visit 100% of the families in our PLTs, and the sooner we can accomplish this the better results we'll see in our classrooms. Often times the school has tickets that are available free of charge for concerts and sporting events! Look for these opportunities to take students and their families for free! Engage them in conversation about their child's hopes and dreams and that will certainly count for a home visit!! If you know your student has a sibling in another grade at CHEC please partner up with teachers who teach the student. This will offer a richer engagement. You CAN NOT do a home visit for a sibling and you don't teach them! Please give that opportunity for a teacher who teaches that child! Teachers! Have you been thinking about taking a World Language Class to better communicate and serve our students, families, and community all while earning CSC points!?!?!?! Sign up for a class on Edgenuity! All teachers should already have an account! Visit edgenuity.com, your username should be your email address and your password is teacher. If you have trouble, Contact the Edgenuity Support Team by phone at (877) 202-0338 ext. 3. Currently, they offer the following languages; Chinese, French, German, Latin, and Spanish! Join your Columbia Heights Education Campus librarians, Christopher A. Stewart (Bell) and Angela Falkenberg (Lincoln), as we empower CHEC Scholars with the 25 Books Campaign initiative. 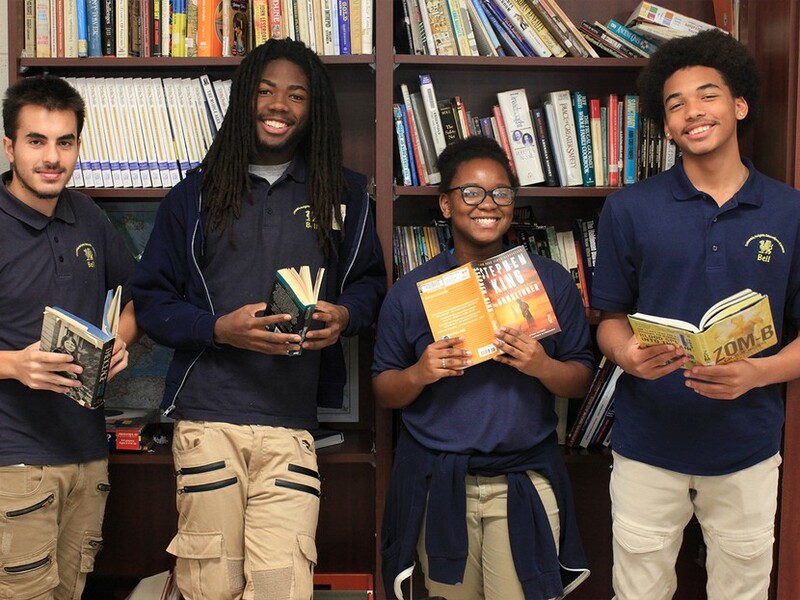 Our mission is to develop students' momentum as passionate readers while continuing to maintain a high standard of engaged leaders within our culture of reading. Many staff members expressed interest in learning more about registering and using the 25 Books Campaign logging system, Beanstack. Please fill out the interest form so Ms. Falkenberg can contact and coordinate a convenient workshop time. As we continue to think about all who have been impacted by the devastating natural disasters over the last few months; the CHEC/ Bell Library is sending well wishes with books to high school students at Charlotte Amaile High School and Ivanna Eudora Kean High School in St. Thomas, U.S. Virgin Islands and The Department of Education and Manuela Toro Morice High School in Puerto Rico. Please come to the library and place an encouraging note in the book, letting our beloved St. Thomas and Puerto Rico know that we support them! Books will be mailed on December 1, 2017. The CHEC/ Bell High School Library would love to invite teachers and staff to reserve library space via our new platform, Skedda (https://reservechecbelllibrary.skedda.com/booking). Once booking your first reservation you will be prompted to create a quick login. Users will be able to see when space is available and when space is unavailable. This will allow for transparency and comfort in knowing that the time that you have requested, is available. There is also a space for *notes. If you would like to request AV material (i.e. projector) I can have that available and set-up for you. The CHEC Bellmen would like to extend an invitation for all young men of color to attend the Black & Brown Male Hack, a student event taking place on Saturday December 2nd. 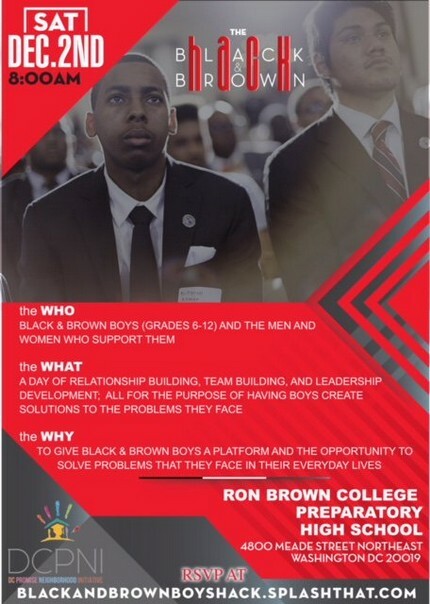 From 8:00 am – 4:00 pm, a group of mentors & young men of color from across the D.C. community will convene at Ron Brown College Preparatory Academy for Boys, Washington, DC’s first all-male high school to guide young men in the grades 6-12 through the arduous process of solving problems they face in their day to day lives. We believe it is critical that students and community leaders have the opportunity to create and reshape the current public narrative about young men of color in schools. North Star College Preparatory Academy for Boys’ first annual Black & Brown Male Hack is our opportunity to make this happen. The Black & Brown Male Hack is focused on engaging boys of color in grades 6-12 to address aspects of their educational experience that aren’t working for them, while allowing them to create innovative solutions to the problems they face. With over $5,000 in prizes for our top three teams, we are expecting approximately 300 boys, mentors, and volunteers from DMV private, public, and public charter schools. We ask that you kindly distribute the flyer to any student you feel might be a great fit for this program, additionally please feel free to forward this email your parent/guardian lists. Thank you for your help in keeping our students aware of these great opportunities. The CHEC Bellmen is a group of young men who are interested and committed to succeeding through physical, mental, spiritual, financial, creative, and social practices. The Bellmen mission and goals are available to any young man who wants to succeed in these six areas of life. Join us for an informational session, delivered in Spanish, to learn more about the challenge and what you can earn from being a part of this great opportunity. Free catered lunch for Bellmen, supporters, and guests, followed by an activity in creative success. Our guest presenter will speak about the role of fashion in our lives. Join us to learn more about common attire types (formal, business casual, etc.) and how appearance and style can impact your success. This is chance to charge your creative, social, and physical batteries. Parts of this experience can be used to meet tasks from the Stay’n Charge Challenge. "​Acknowledging the good that you already have in your life is the foundation for all abundance." * ​Did a friend or family member provide words of encouragement to you? * Were you a source of motivation for someone else? * Have you told yourself "Thank You" for being brave and resilient lately? 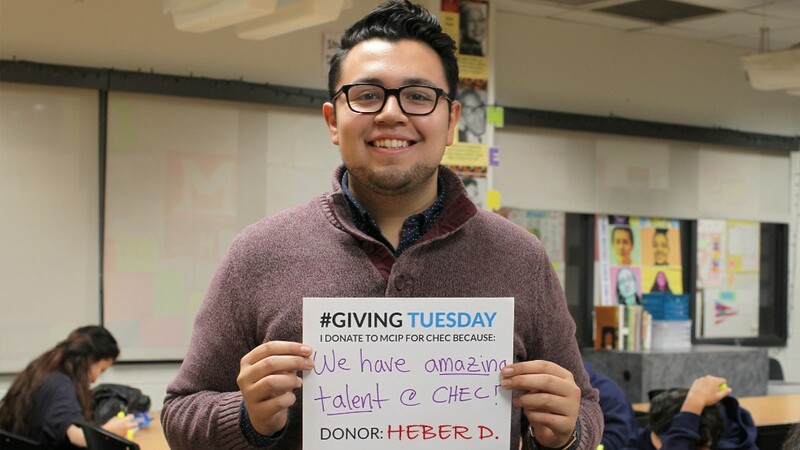 Express your Gratitude to a fellow student or adult within our CHEC family! CREATING A CLIMATE FOR LEARNING. EMOC AT CAMP HORIZONS. Thanksgiving Break brings much to remember and to be thankful for this year, and we hope both staff and students alike will be able to find rest and reprieve over the holiday. We’re very excited to announce that last week High school threw another successful school event to celebrate those students arriving to school on time with an after school ice cream social for all early arrival and Middle school hosted another PBIS incentive where students participated in a basketball and soccer tournament. BIG shout outs to the teachers celebrating our student successes and reinforcing the importance of on time arrival to school. Keep up the good work! This week pay close attention to students who are struggling. How will you teach them about having better behavior? How can you give these students PBIS points to support their contribution to the CHEC community? Below are our focus areas! Uniforms: We’ve done a nice job keeping high standards with our uniforms this year, but let’s not let that slip. Students should be in full uniform throughout the day. Let’s continue to support one another by checking all students throughout day. Hallways: Scholars are expected to walk, to stay to the right, to be in full uniform, use Level 1 voices and to move with a purpose in our hallways. Adults should support these expectations by reiterating expectations frequently, with strong presence in the hallways, by addressing behavior in the hallways, by actively monitoring with teacher-voices and watchful eyes throughout transitions. Dismissal: We always need more support at dismissal from 3:15pm until 3:35pm (High School), 4:15pm until 4:35pm (Middle School). Please follow students all the way out to the front of the building. Students should be encouraged to move on toward their bus stops/metro quickly. Teachers and staff that can make themselves available to stay out front will be greatly appreciated. How are your Circles going? For the teachers/staff who might be leery of doing circles, here is a very basic circle outline. If you just want to do this outline every week that is ok until you feel comfortable doing more in-depth circles. This might not take up the whole time we have in Advisory, but it is a quick Circle to do in your regular classes. Or see the suggestions at the end for more questions you can use to start Rounds. The Check-In circle is a generic circle you can use anytime and over and over again. It is a simple outline to check in how everyone’s week has been going, what goals they might have for the coming week, how are they doing, etc. If you are new to circles this would be a great one to start with and keep doing until you feel comfortable enough moving on to more in-depth questions. I have not included opening and closing quotes on this outline. Once you feel ready please feel free to add your own or offer students to share something. Other ideas for opening/closing ceremonies: mindfulness moment, listen to a song, quote, poem, excerpt from a story. Participate! This is not just for the students to get to know each other, but to build relationship with you. Answer the questions draw the pictures, etc. If your class is mixed with Spanish and English speakers consider having a English speaking facilitator and a Spanish speaking facilitator they can repeat after each other to meet the needs of all students in the class. The bold text is what is supposed to read out loud, the regular text are just instructions for the reader. Cuando el facilitador te llame, pídele a todos que "cierren los ojos y tomen tres respiraciones profundas". Ahora diga "¡ el círculo está completo, nos vemos la próxima semana!" 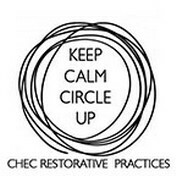 You will be co-facilitating a circle this morning following these steps. 1. Opening Ceremony: Ask the person who has the “Opening Ceremony” to start the circle. “Good morning I’m going to review the guidelines: (read guidelines). I want to emphasize that you can’t talk unless you have the talking piece and if you don’t want to share you have the right to pass. Esta mañana estará cofacilitando un círculo siguiendo estos pasos. 1. Ceremonia de inauguración: Pregunte a la persona que tiene la "ceremonia de inauguración" para comenzar el círculo. 2. Introduzca la pieza parlante y las pautas desarrolladas en el círculo anterior:"Buenos días voy a revisar las pautas que inrepretamos la semana pasada: (Pídale a la maestra la copia de las pautas)." "por último quiero enfatizar la pieza parlante por favor no hables a menos que tengas esto en tu mano y recuerdes que tienes el derecho de pasar si no quieres contestar." 3. Ronda de apertura: " ¿Que esta en tu mente en este momento?" 4. Actividad principal: ""Cuéntanos sobre un punto bajo y un punto alto desde la última vez que tuvimos un check-in." You will co-facilitate the following steps of the circle after Co-keeper 1 finishes. Closing Ceremony: Ask the person who the "Closing Ceremony" to read the quote aloud. Usted cofacilitará los siguientes pasos del círculo después de que el co-Keeper 1 termine. Ronda de cuentacuentos ronda 1: comenzando por usted mismo, comparta su respuesta a la siguiente pregunta. Luego pasa la pieza que habla a la persona a tu lado para que otros puedan empezar a compartir. "¿Que objetivo tienes esta semana? Podría ser sobre la escuela o sobre la vida fuera de la escuela." Round 2: comenzando por usted mismo, comparta su respuesta a la siguiente pregunta. Luego pasa la pieza que habla a la persona a tu lado para que otros puedan empezar a compartir. "¿Que te tiene emocionado para este fin de semana?" Ronda 3 (tiempo que permite): comenzando por usted mismo, comparta su respuesta a la siguiente pregunta. Luego pasa la pieza que habla a la persona a tu lado para que otros puedan empezar a compartir. "en una palabra decir cómo te sientes dejando el círculo." Share a funny story from your work (or life). If you could be a superhero, what super powers would you choose and why? What do you appreciate about your work or main activity? If you could talk to someone from your family who is no longer alive, who would it be and why? Name two things or people who always make you laugh. I like to collect . . .
Name one male and one female who is a good role model for young people. If you could have a face-to-face conversation with someone alive today or someone who has passed on, who would it be and why? What is one skill or talent you have? What are three “gifts” (attributes of yourself) that you bring to the Circle? If you were a reporter, what kind of stories would you like to write about? Who are some of your heroes? Why are they your heroes? What do you think other people see as your best quality? Why? What is the silliest thing that ever happened to you? What is the best thing that happened to you this past week? What was the most difficult or challenging thing that happened to you this week?